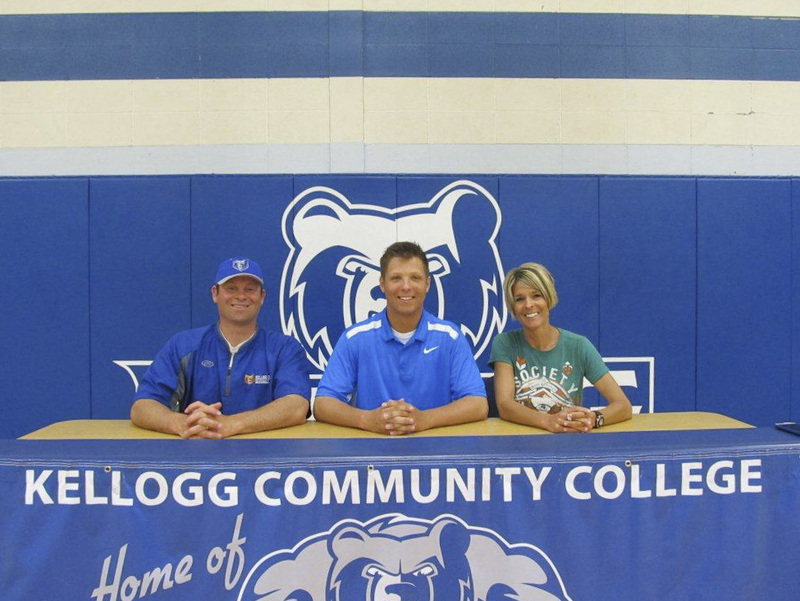 Left-handed pitcher Justin Gierlowski of North Liberty, Ind., has signed a National Letter of Intent to play baseball at Kellogg Community College and will begin playing for the Bruins next season. Gierlowski, a North-South Elite All-Star, graduated from John Glenn Highs School, where he was an All-Conference athlete for four years and his team’s Most Valuable Player for three years. KCC’s Bruins finished second in the National Junior College Athletic Association regional tournament earlier this month after finishing third in the Michigan Community College Athletic Association conference with a 17-9 conference record. For more information about baseball at KCC, visit www.kellogg.edu/athletics/baseball or contact Coach Laskovy at laskovye@kellogg.edu or 269-965-3931 ext. 2536.